Forty-Four Percent of Millennials Prefer Socialism. Do They Know What It Means? This year’s centennial anniversary of the Bolshevik Revolution has caused many to reflect on communism’s place in our collective memory. It has been a full century since Vladimir Lenin’s Bolsheviks seized power in Petrograd and communism made its bloody debut on the world stage. Authors, activists, and politicians alike are asking the question: what has America learned from one hundred years of communism? The answer? Apparently, not much.  When the Victims of Communism Memorial Foundation published our inaugural survey on American attitudes toward socialism and communism last year, the results revealed some disturbing trends in American society. We discovered a rampant amnesia about the crimes of communist regimes and a growing inclination among younger Americans toward favorable views of communism and socialism. This week we completed our second annual study, tracking how opinions about communism among Americans have changed since 2016. The results are not encouraging. For starters, as of this year, more Millennials would prefer to live in a socialist country (44%) than in a capitalist one (42%), or even a communist country (7%). The percentage of Millennials who would prefer socialism to capitalism is a full ten points higher than that of the general population. The significance of this finding cannot be overstated—as of last year, Millennials surpassed Baby Boomers as the largest generational cohort in American society. The largest generation in America would prefer to live under socialism or communism than under a free market system that respects the rule of law, private property, and limited state intervention. This finding is coupled with the fact that, despite Millennials’ enthusiasm for socialism and communism, they do not, in fact, know what those words mean. Our study indicates that the attraction of socialism for Millennials has less to do with their familiarity with the ideology and more to do with their discontent with the current economic system, the flaws of which they blame on free-market capitalism. One remarkable finding of our survey is that over two thirds of Americans favor absolute protections for free speech, regardless of their views of communism or socialism. This is good news and indicates that the violent protests and intimidation of guest speakers on American college campuses is not widely sanctioned behavior. Communists in particular and socialists more broadly have historically and ideologically favored state regulation of the press, speech, and voluntary association. Our results suggest that Millennials who favor socialism and communism have not thoroughly considered the implications of their stated political beliefs. Given the apparent growing preference for socialism, one might think that Millennials would be familiar with the world’s newest socialist country—Venezuela. Unfortunately, Americans are as ignorant of the developing situation in socialist Venezuela as they are of the definition of socialism itself. Six out of every ten Americans surveyed were wholly unfamiliar with Venezuela’s socialist dictator, Nicolás Maduro, and the economic crisis and human rights abuses that have occurred under his rule. So, 100 years after the Bolshevik Revolution, the majority of the largest generational cohort in America show great enthusiasm for socialism while completely failing to correctly identify its definition when asked or examine its consequences. It gets worse. Seven in ten Americans drastically underestimate the number of people killed at the hands of communist regimes over the last century. This is unsurprising, given the fact that half of all Millennials say they have never heard of Mao Zedong, a man whose policies killed nearly 60 million people, making him the greatest mass murderer of the twentieth century. Unfortunately, these data points are not the only indication of the pervasive ignorance in the West regarding communism’s legacy of fear, genocide, and destruction. This year, communist ensigns emblazoned with hammer and sickle waved opposite Nazi flags in Charlottesville. Ireland issued stamps of Ernesto “Che” Guevara—a racist, homophobic murderer—as thousands gathered in Cuba, Bolivia, and Argentina on the 50th anniversary of his death. A West Point cadet and Afghanistan veteran wore Che’s image in uniform while publicly proclaiming that “communism will win.” Violent, militant groups on the far left intimidate and antagonize in the name of “antifascism” and are praised in the media for doing so. News outlets publish articles extolling the virtues of life under communism, pointing out “all the good things” that communism accomplished. Meanwhile, communist China’s leader—newly christened the most powerful man in the world—rules the most populous nation on earth with an iron fist while his underlings proclaim him the new Mao Zedong. At home, he uses force and intimidation to consolidate his power while denying his people the most basic human rights. Abroad, he uses deceit, misinformation, and cyber espionage to shut down publishing houses and drown out critical voices while engaging in the most ambitious imperial project since the Soviet Union’s “evil empire” days. Communism isn’t back: it never left. We simply forgot about it. And as it rears its ugly head once more, openly and shamelessly, we seem far less prepared to meet the ideological challenge in this century compared to the last. A communist revolution in 1917 launched the bloodiest century in human history. In 2017, we have all but forgotten the appalling legacy of this gruesome ideology. We continue to be led astray by the false promises, the mendacious rhetoric, and the ignorant romanticizing of history’s most effective death cult. Thankfully, there is a silver lining. Compared to last year, more Millennials now think communism is still a problem today. Additionally, Millennial favorability toward communist figures like Vladimir Lenin, Joseph Stalin, and Che Guevara has dropped over the past year. Meanwhile, America’s youngest generation—Generation Z—exhibits an appreciation of individuality and a deep mistrust of collectivism in all its forms, especially that of communism. Having come of age after the Great Recession, they are frugal, entrepreneurial, and confident that the American economic system works in their interest. Despite this positive trend, America’s youngest generation is still largely ignorant of the crimes of communist regimes or how Marxist ideology directly enables such atrocities. If we want to truly put this horrific ideology on the ash heap of history, we have a responsibility to warn a new generation of Americans about its dangers. We have a responsibility to tell the truth.